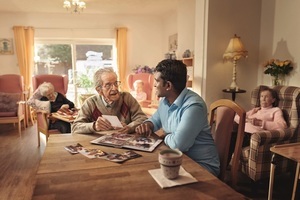 • equip the social care sector with the marketing tools to support the campaign and advice to recruit and retain the right people, to address a high turnover rate. "I have spent my whole career in adult social care, so I know first-hand the tremendous professional and personal satisfaction that is on offer to anyone who joins us through this campaign. "This campaign will help employers find people who have the right personal values that will make them great care workers and that means people in our communities will be supported by highly motivated and skilled workers."